Nordstrom is credited with presiding over a transformation in children's literature in which morality tales written for adult approval gave way to works that instead appealed to children's imaginations and emotions. 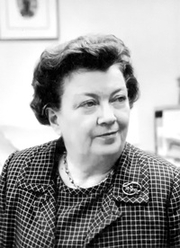 She edited some of the milestones of children's literature, including E. B. White's Stuart Little (1945) and Charlotte's Web (1952), Margaret Wise Brown's Goodnight Moon (1947), Crockett Johnson's Harold and the Purple Crayon (1955), Syd Hoff's Danny and the Dinosaur (1958), Maurice Sendak's Where the Wild Things Are, (1963), Karla Kuskin, "Roar and More", (1956) and Shel Silverstein's Where the Sidewalk Ends (1974). Other authors she edited included Laura Ingalls Wilder, Ruth Krauss, Charlotte Zolotow, John Steptoe, M.E. Kerr and Arnold Lobel, among others. Nordstrom began at Harper & Row in 1936 and was promoted to editor in chief of the Department of Books for Boys and Girls in 1940. In 1960 she became Harper's first female vice president. She stepped down as publisher in 1973, but continued on as senior editor with her own imprint, Ursula Nordstrom Books, until 1979. She was succeeded by her protege, author Charlotte Zolotow, who began her career as Nordstrom's stenographer. Ursula Nordstrom is currently considered a "single author." If one or more works are by a distinct, homonymous authors, go ahead and split the author. Ursula Nordstrom is composed of 4 names. You can examine and separate out names.